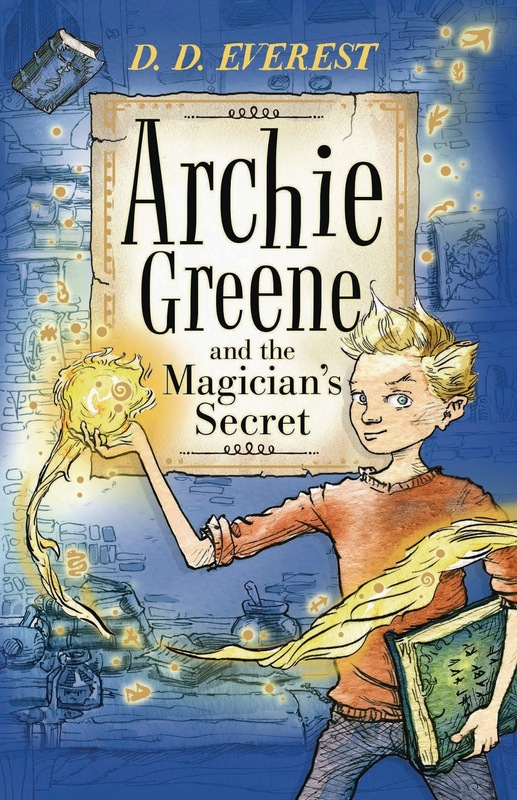 One of our favourite children's books of the year has been Archie Greene and the Magician's Secret, a thrilling and imaginative fantasy book set in the mysterious world of ancient books, old magic and with an Oxford twist. It marks the arrival of an extremely talented author, DD Everest, so when we were offered the chance by publisher Faber to take him to some schools in Abingdon, we jumped at the chance. Archie received a old, musty parcel containing a magical book - and a similar looking parcel turned up during the talk. We all had to guess about what might be inside. In the magical world that Archie discovers, there are different routes available to apprentices, depending on whether children have the sharp eyes of a hawk ('Finders'), the wisdom of an owl ('Minders') or the quick hands of a monkey ('Binders'). When asked, there was a good spread of votes for all three amongst the audience, so that bodes well for any apprentices in the audience. 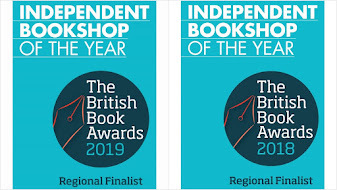 One of the great things about having a break between the two schools, was that we were able to bring Des to the shop and chat to him a bit about what makes him tick as an author. One of the interesting things was to learn more about his passion for Tolkien, and how all fantasy authors - to a greater or lesser extent - are writing in his shadow. What great fantasy authors do, however, is to take the furniture that is already in the room (so to speak) and make it their own. Des also compared the world of journalism and writing books. With journalism, you write to a deadline, and that's a great skill to have. But when you have a publisher, and an editor, they remind you that what you are writing is going to have a longevity to it that most journalism doesn't have - they fire questions, and challenge about all aspects of the book, until it becomes bullet-proof. 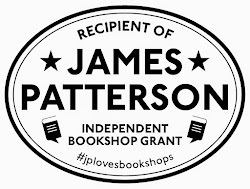 It's a very different process - and for one for which he is really grateful for having a publisher behind him. Having seen many different authors talk to children over the years, one of the things that impressed us particularly about Des was his skill in conjuring up the world of Archie Greene in the minds of the children in the audience. The children seemed to relish the opportunity to become apprentices themselves, and some of the terms in the book - such as nasty magicians called 'Greeders' conjured up just the right atmosphere or excitement and menace for the age it's aimed at. The result was a whole host of very imaginative questions. On being told about the dangers of a 'Drawing' book (which don't sound very scary, but actually 'draw' you in to a book from which you may not escape) the children wanted to know who could pull you out, and whether you were yourself inside the book - or took on the part of one of the characters. And would you actually *know* that you were inside a book? Des wasn't given too much away - the fate of Archie in the story turns on some of the answers! Des ended with some writing tips - and a poll on whether children liked the UK or US cover best - what do you think? I'm currently working on the second Archie Greene book ‘Archie Green and the Alchemist’s Curse’. I’ve done the first draft with edits, so now just waiting for ‘feedback’ from my editor (Alice Swan) - it's a nerve-wracking time! (Thinks for a moment) I'm not sure whether I should say this, because it sounds a bit simplistic but...writer’s write. They don’t talk about it, or sit around talking to other writers, they just get on and write. Ideas build and grow inside of you. If you talk to others about an idea, once you've shared that idea, you sort of burst your own balloon. Writing is lonely, it can be demoralising, but that’s what it is. You shouldn’t be intimidated by the blank piece of paper, you have to push through it. The best thing is that children have very fertile, rich imaginations. They give you lots of licence to be imaginative – the canvas you are working on is wide and very open. But the flip side of this is that fertile imagination is a double-edged sword. That imagination tens to question everything, and allows them to often get ahead of the plot, and if you have holes they will find them in a way that adults don’t – often adults are happier to go along with the story. Kids can also be brutally honest and blunt about what you write. I think a writing ‘space’ is very important, but because I’ve been a journalist, I can write anywhere. When you are a journalist you don’t have the luxury of writer’s block – you are completely deadline-driven. However, I do like to declutter my desk: I’ve even been known to sweep everything off the desk, or hide things. Your desk is like a mirror of inside your head, or a metaphor for your writing canvas. I did used to have a ‘lucky’ desk years ago – but that went to the tip! I think there are two moment that I can remember, one creatively and one with becoming a bona fide author. I’d written the start of a story and my own kids were asking for more chapters, and that was a good sign. But for me the main breakthrough was sitting in the offices of Faber and Faber, and here were these ‘proper’ publishing people talking about my book and characters as though they were real people. It was a great moment – and I thought: whatever happens from here, I can’t imagine it feeling better than this.